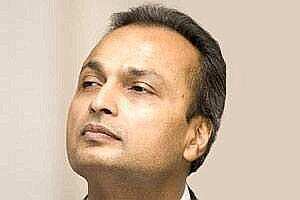 Panaji: Reliance Commercial Finance, an Anil Ambani Group company, targets a growth rate of 20-22% this fiscal with increased focus on small and medium enterprises, infrastructure and commercial vehicle segment. “Last fiscal we had about 16-17% credit growth and this year we are expecting 20-22% growth," Reliance Commercial Finance and Reliance Home Finance chief executive officer K V Srinivasan said here. The company also plans to exit unsecured lending business by the end of the current financial year in order to improve asset quality and profitability. “Our strategy is to completely move out of unsecured loans segment. Currently, we have around ₹ 166 crore unsecured loans in our book. By the end of the current financial year it will be eliminated," he said. “In 2008, almost 28% of our lending was unsecured. Today it’s just around 1%," he said. Total lending by the firm has more than doubled in the last three years. The company’s total lending was ₹ 7,120 crore in March 2008. It rose to ₹ 15,035 crore by the end of the quarter ended 30 September 2011. The company’s gross non-performing assets (NPAs) declined to 1.3% at the end of September from 3.6% in March 2010.